Oak Park had it perfectly laid out, play the fewest amount of games in order for six transfers to gain eligibility after Martin Luther King Junior Day before the team’s stiffest obstacle of the season, hosting undefeated Clarkston, ranked fourth in Class A. Yet, the one thing the Knights could not plan for was Andrew Myers. Myers is a 6’0″ senior point guard committed to Madonna (MI). He has been on varsity since a freshman, and often takes the role as an extension of legendary Coach Dan Fife on the floor. Andrew came away with 15 points, 10 assists, and five steals in a hard fought Clarkston victory, a win would give Coach Fife 616 overall. Down, 56-53 with 14.2 seconds left, the first loss for the Wolves on the season seemed inevitable. 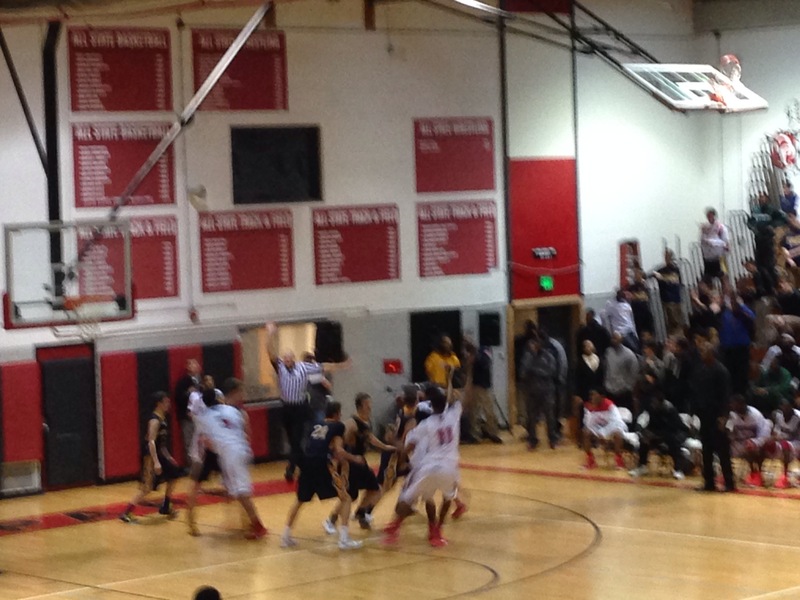 However, the execution for Clarkston was flawless in the final seconds. Freshman Foster Loyer of Clarkston was fouled, he sank two free throws to put the Wolves down one. Clarkston would then foul senior Howard McInnis of Oak Park leading by two with seven seconds left, and McInnnis would miss both. Myers would receive the outlet, push the ball up the floor, got in the paint, and found Merrick Canada for a ten foot jump shot to send the game into overtime. Clarkston would dominate the extra four minutes of overtime, connecting on all 10 free throw attempts the Wolves would make, Myers would lead the way with six. The comeback for Clarkston started in the fourth. Oak Park junior Trevon Gardner would hit two consecutive jump shots and the Knights would build their largest advantage of the fourth quarter at five. The Wolves would respond. Sixth man Tabin Throgmorton, came off the bench to provide Clarkston with a team high 24 points, and would hit on consecutive triples to knot the game at 44. Tabin would finish with four threes on the night, and the Wolves would hit three 3’s in the fourth to keep the game close and set up the series of events which would take place in the final seconds. Oak Park’s combination of Kelvon Fuller and Rodney Scales owned the paint for the Knights at times in the game, Kelvon scored 22, and Rodney chipped in with 15. The Knights had three players over 6’7″ play extensively, compared to Clarkston’s just one. Ironically, Clarkston’s shortest player, freshman guard Foster Loyer who finished with 14, would be the team’s leading rebounder with nine.